If you haven't already read it put it at the top of your "must buy" list, so supporting our local author. 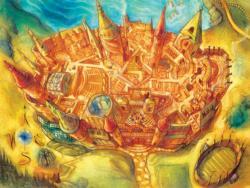 This book blazed as the overwhelming choice by our booksellers to be their Book of the Year. It is one of those novels that takes possession of the reader in a physical embrace; to finish it is to feel released, deeply satisfied at every level. It is a treasure and we recommend this wonderful book to everyone"
TESTIMONY By Scott Turow From the author of Presumed Innocent - a very good legal thriller, comes another top-notch story in this genre. 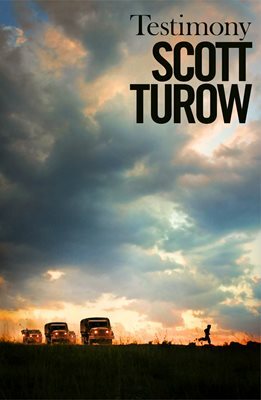 This is a tense legal thriller from Scott Turow that follows an International Criminal Court prosecutor's case of the harrowing disappearance of 4oo Roma refugee camp at the tail end of the Balkans War. Turow has clearly done his research in this novel which moves out of the courtroom and out into the field. ...And also 1915, this is historical fiction at its best. Well researched, it tells the story of female espionage agents in the Great War (known as the Alice Network). In particular two women suffering the losses of two different wars join forces and lead the reader on an emotional rollercoaster of a read. Here he sat, George Oswald Baxter, alone with his unfortunate initials and ridiculous dog. Alone with no compass in this explorere's blizzard, all landmarks effaced... after his wife of 26 years dies. He throws himself into his work as an antiques dealer but then, through his door comes local widow Sylvia. "How can you pack for the journey of a lifetime?" 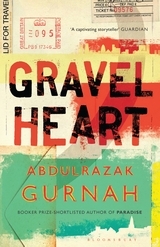 Moving from revolutionary Zanzibar in the 19602 to restless London in th 1990s, Gravel Heart is a powerful story of exile. migration and betrayal, from the Booker Prize-shortlisted author of Paradise. Salim has always believed that his father does not want him. Living with his parents and his adored Uncle Amir in a house full of secrets, he is a bookish child, a dreamer haunted by night terrors. It is the 1970s and Zanzibar is changing. Tourists arrive, the island's white sands obscuring the memory of recent conflict; longed-for independence from British colonialism swiftly followed by a bloody revolution. His father moves out of the family home with no explanation and Salim is left feeling confused , so when his Uncle now a senior diplomat, offers him an escape to London the lonely teenager travels to college there. Evoking the immigrant experience with unsentimental precision and profound insight this novel is a powerfully affecting story reflecting in many very clever ways Shakespeare's Measure for Measure. Coming in at over 1400 pages this is a definitive account of Barack Obama's life before he became president.Written by a Pulitzer Prize- winning author, Garrow pulls no punches and draws on over 1,000 interviews creating a penetrating portrait that reveals not only the forces and people who shaped the future president, but also the ways in which Obama used those influences to serve his larger aspirations. A gripping read about a young man born into uncommon family circumstances, this is an extraordinary work of biography- tremendous in its encyclopaedic research, storytelling and analysis of the all-to-human struggles of one of the most fascinating (and intelligent) politicians of our time. This candid memoir reveals for the first time the experiences that have shaped the "young" Trudeau over the course of his life., showing how his passion for politics took root. In this book he captures the formative moments of his upbringing, including the influence of his father Pierre, who was prime minister before him, and the tragic death of his brother Michel. 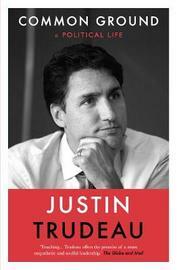 Filled with anecdotes, personal reflections this is an intimate portrait of the man who has thrust Canada back on the world-stage. It also presents a moving case for a better kind of politics at a time when people are more disillusioned than ever before. 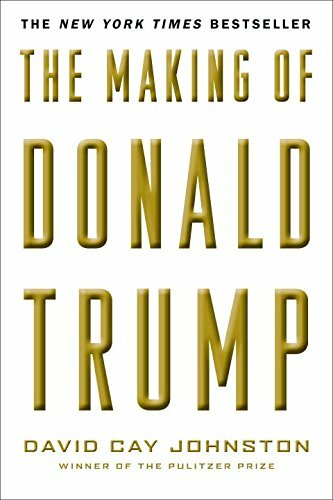 Another Pulitzer Prize-winning author Johnston has followed Trump over thirty years chronicling his path to the White House. This is a very revealing, all warts out in the open piece of writing. Be frightened people, be very frightened. 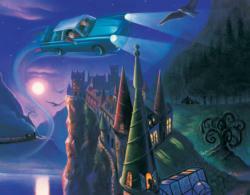 PLUS, FOR THE YOUNG POTTER FANS: 100 to 500 and 1000 piece jigsaws.